The Visual History Archive® is USC Shoah Foundation’s online portal that allows users to search through and view more than 55,000 video testimonies of survivors and witnesses of genocide. 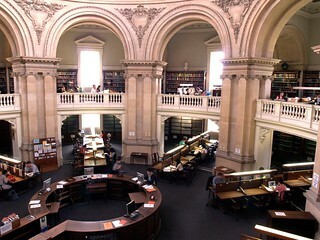 Initially a repository of Holocaust testimony, the Archive has expanded significantly to also include survivor and witness testimony from other genocidal events: the Armenian Genocide (1915-1923), the Nanjing Massacre (1937), the Genocide Against the Tutsi in Rwanda (1994) and the Guatemalan Genocide (1978-1996) as well as more recent testimonies relating to the Anti-Rohingya Mass Violence (August-October 2017). 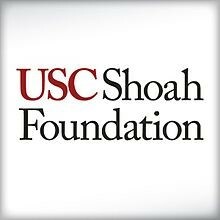 This 2 hour workshop run by the USC Shoah Foundation will provide hands-on training on how to use the Visual History Archive, introducing students, librarians, staff, and faculty to the archive’s history, collections, interface, and search engines that are the key to unlocking the research and teaching potential of the archive. Learn about watching interviews and get tips how successfully to navigate the many testimonies. This entry was posted in Archives, Talks & events, Training and tagged archives, Training by bjenkins. Bookmark the permalink.